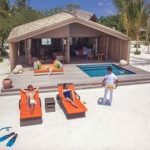 Now is the best time for travel agents to secure their client’s dream holiday in the Maldives at even better value as Club Med announces from May, 2019, travellers can enter a world of elevated luxury at the award-winning Finolhu Villas for the same price as Club Med Kani’s Manta Exclusive Suites. 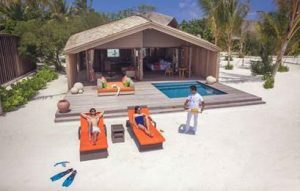 Club Med Kani is the ultimate endless turquoise playground in the Maldives, suitable for families looking for an indulgent escape. Enjoy unique must-try experiences of the Maldives including Kani’s new state of the art Dive Centre, coral rebuilding program allowing guests to help repair damaged reefs*, surfing*, flyboard* and more. There’s also brand new kids facilities for the little ones! Kani brings together delicious local cuisine, colourful marine life and pristine waters in one of the most beautiful places in the world. The leader in premium all-inclusive holidays, Club Med’s packages include gourmet meals and snacks with international delicacies and traditional local cuisine, an open bar, a vast selection of activities, entertainment and Kids Clubs, in addition to accommodation – taking the planning out of holidays, so your clients have more time to relax.